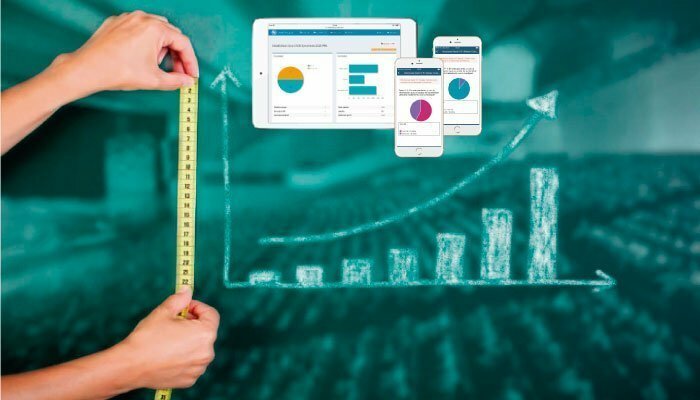 Can I measure the impact of an event by creating surveys in the evenTwo app? Of course, that’s one of the features that can be done in an evenTwo application. You can send small surveys to your attendees to get instant information about your event. Another example is the rating of the session, in which you ask your audience what they think about the content of the presentation. And you get real-time information about the quality of the content, the quality of the speakers, and you can use that feedback to apply changes and improve in the future. That is why it is essential to have an application of evenTwo, if you really want to build a commitment of your attendees and measure the success of your event. But how do we do it? Because getting engagement in an event is sometimes a utopia. What can we apply to your app to make that happen? Some more functionalities can be applied. Very popular, for example, are the instant voting, with which you ask your audience during one of the sessions, or a plenary session, to show their opinion on a particular topic. 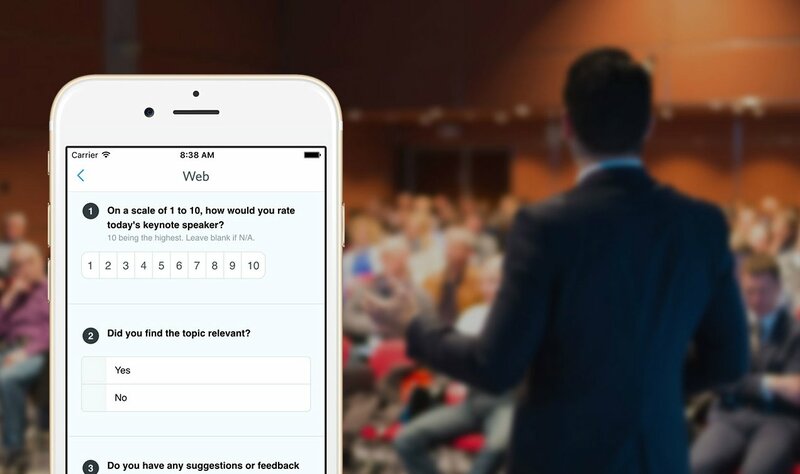 Each attendee can use the application to place their vote, and if you want, you can share the results in real time by displaying them on the screen, and analyze those assessments. On the other hand, you can ask questions to the speaker or speakers, before, during or at the end of the session, choosing whether they are moderate or not moderate. Although, many more actions can be performed with an evenTwo application for your event. Well, one of the real needs of our clients when it comes to organizing their event, focuses on breaking the ice and provoking the interaction of the attendees. That is why we have recently created a new functionality called « match-making » in which users of the app fill in a kind of questionnaire and define their interests based on their profile, and what they look for and offer to other attendees in that event. In this way, if the interest is reciprocal between two attendees, they can connect between them and do networking one-on-one. What we are seeing thanks to the match functionality is that it is possible to foster interaction, strengthen the relationship between attendees, being able to establish synergies with each other according to profiles or related interests. But having the functionality in the app is one thing, but getting people to use it is another. It is true. Not only is it enough to have the application well customized, it is also necessary to define a good strategy of dissemination and communication around the app, and it has to be done correctly. We always advise our clients about the communication that they must make even well before the day of the event. To begin, we must make sure that all attendees have already downloaded the event app on their smartphone, and that they have already begun to interact with it through some features. And it is during the event that you must maintain a constant flow of communication, so that all attendees will know that from the evenTwo app they can vote or rate a session, meet and communicate with other attendees, or design their own personalized agenda … You can also keep the app alive by sending push notifications to all or groups of attendees. As you can see, there are multiple ways you can get a continuous use of the application for your event with evenTwo. And how does an evenTwo app help to test the ROI of my event? Organizing an event always entails a significant economic investment. So what you really want to achieve is the ability to measure the event and take it as a reference to improve in the future. For example: if you organize an event every year, the question we ask ourselves is, are we really getting better? How are we compared to last year? Getting the calculation of the profitability of the investment for an event is important, but it is also complicated. And here what needs to be done is to measure a series of KPIs of what is happening in the event. And this is the moment in which we must have an evenTwo app for our event, to measure indicators as simple as the results of the surveys: What do the attendees say about the event ?, but also how many interactions have we had ? How many attendees have downloaded the program in PDF? In summary, all these indicators show how well we are doing in terms of ´word of mouth », increased commitment of our assistants, to cite a few examples. And what about new technologies, such as iBeacons? 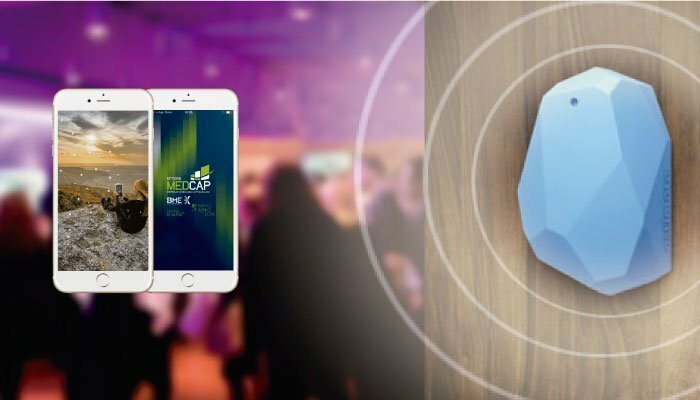 Beacons are an excellent solution. An iBeacon is actually a very small device that sends a signal. They are placed strategically in the event grounds and what allows us is to know in which area exactly the attendees to the event. Does it detect someone who is near my exhibitor or just have a workshop? Thanks to the beacons we know exactly what is happening inside the application. And we can also use that information. So we can welcome the attendees to a particular workshop or presentation, or we can, for example, request that a document or our catalog be downloaded when they are near our stand. Actually a beacon is another way to measure results, because of course, through the beacons we know exactly what zones the attendees have moved around, where they have been present. An excellent indicator of what is happening in the event. Are you thinking about including new technologies? One thing we have in mind is the Apple Watch, or smartwatches in general. Currently they are beginning to gain popularity and its use is more frequent. And now what we are working on is being able to support our apps on smartwatches. For example, from an Apple Watch you can know what´s going on at the event, when starts next session … From the watch you can get all the information of the event. Most event applications are very basic with respect to their functionalities, and only the inclusion of any of these features adds value to your event and a differentiating aspect with respect to the most common. Having a native application for your event allows you to get a return and successfully measure what is happening in your event. If you miss or have used other great features integrated into an event app, we’d love to hear about your experience. evento Days 2015 App results ¿IS YOUR EVENT APP SAFE?